LUM, a university from Bari, Italy, continued this year’s pattern of dominating a regatta, winning 8 out of 10 races on the Markermeer off Lelystad. 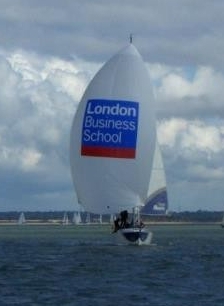 This was the Italian busines school’s first entry in an MBA sailing league regatta. The RSM regatta took place on 30- 31 August, with the “A” division competing in matched Maxfun 25 sportsboats. Second place was claimed by Skolkovo, returning after their success at the Global MBA trophy in Athens, mopping up both the other first places and most of the second spots.